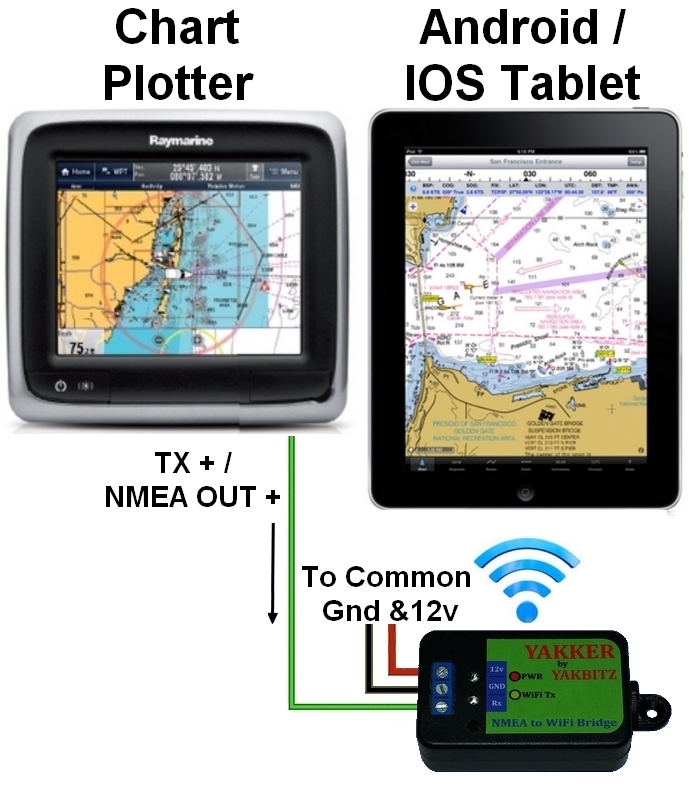 Connecting the Yakker to your Chartplotter or other NMEA 0183 gear couldn't be simpler. Just connect the Yakker to the same Ground and 12v source as your equipment. Then connect the NMEA Out+/Tx+ wire to the Yakker's Rx terminal. Use the Yakker to wirelessly send your ship's data to Navigation apps like iNavx, OpenCPN etc. Whether you just want to display your ship's position as you navigate, or have all your instrument data displayed plus an AIS overlay to keep an eye on other marine traffic. Use that old phone or tablet as an instrument repeater. There are lots of apps available for Android and IOS. 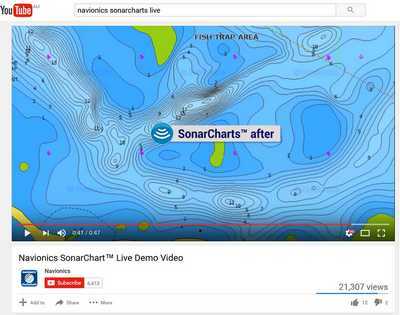 Create your own accurate bathymetric charts in real time. With the yakker sending data from your sounder to your mobile device running Navionics Boating App available for Android and IOS devices.